There is more at stake in investing than the risk of losing our money. There is also the risk of losing life’s wholeness. 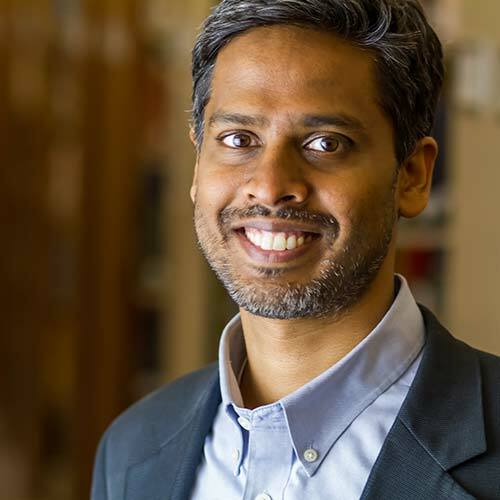 In this video, you’ll hear Eventide CIO Finny Kuruvilla, MD PhD talk about the ethical dimensions of investing using a passage from the biblical book of Proverbs. I want to take us back now, really to thousands of years from before where we're standing at this moment, and we're going to a very ancient book. This is the Book of Proverbs, which is a book in the bible. This particular passage is from the very first chapter of the Book of Proverbs. My son, do not go along with them. Do not set foot on their paths, for their feet rush into evil. They are swift to shed blood. How useless to spread a net where every bird can see it. These men lie in wait for their own blood. They ambush only themselves. Such are the paths of all who go after ill-gotten gain. It takes away the life of those who get it." That's Proverbs, Chapter 1, Verses 10-19. Well, let's now think carefully about what we just read. The first observation that I'd like to make is to notice that culpability here is contemplated even for scenarios of mere financial participation. The passage reads, "Cast lots with us," which basically means something like, "Put your money in with us, we will all share in the purse." There's some kind of common purse that this business venture is drawing from. What is fascinating about this, is the author of Proverbs implores the son, implores the daughter, to avoid these bad profits. It's phrased in this passage, "Ill-gotten gains," which are profits that are made at the expense of others; profits that come from some activity that results in harm towards others. In contrast, the biblical narrative calls us to derive our profits and our livelihood from good profits, from activities that are really the byproduct of serving well the needs of others. Thousands of years ago, the author of Proverbs was making a very simple but very profound statement that we need to be careful and not join into these schemes that are hatched by people that are about ill-gotten gain, bad profits, where there may be some kind of a common purse. Now in fact, if you think about it, a mutual fund is in some sense a common purse where there's one pool of capital, and the fund manager allocates out of that to various companies. We as a wise son or the wise daughter seek to avoid these schemes of bad profit in favor of the opportunities for good profit.